May 26, 2017 – UPS (NYSE:UPS) and SF Holding (SZSE:002352), the parent company of SF Express, today announced plans to establish a joint venture and collaborate to develop and provide international delivery services initially from China to the US, with expansion plans for other destinations. Through this agreement the parties will leverage their complementary networks, service portfolios, technologies and logistics expertise. The joint venture is subject to regulatory approval. 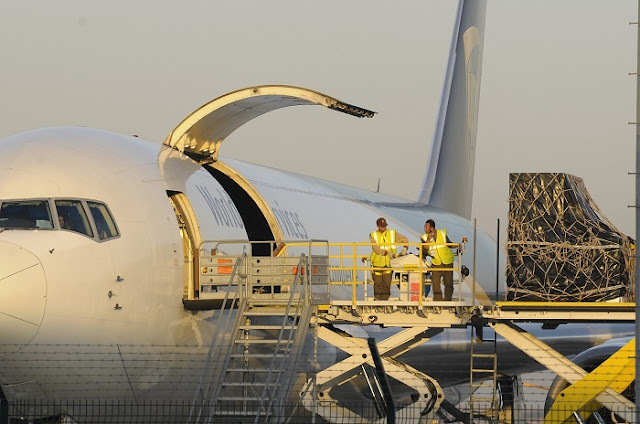 UPS is the world’s largest express delivery company and a leading global supply chain integrator. SF is a market leader in express delivery in China, with extensive China-wide network coverage, comprehensive service capabilities, and the highest brand recognition in the Chinese small package market. The joint services offerings combine the strengths of SF’s extensive Chinese network, encompassing more than 13,000 service points in the world’s largest and fastest growing package delivery market, with UPS’s market leading globally integrated network with coverage between more than 220 countries. Alignment of the partners’ shipping networks will provide customers with greater coverage, additional routing options, increased capacity, and more choice in transit times and service options. The joint venture will initially focus on supporting these highly competitive joint service offerings on the China-to-US lane, with planned expansion to markets in the rest of the world. “China is leading the world in terms of e-commerce market size, growth, penetration and mobile business usage. Coupled with a rapidly growing and internet-savvy consumer base, it’s imperative that SF and UPS collaborate to revolutionize the logistics sector. Together, we aim to bring greater competitive advantages to our customers in China, to succeed globally,” said Alan Wong, Group Vice President of SF. The joint venture supports the creation of competitive synergies for UPS and SF through the combined scope and scale of both companies’ complementary networks. Both companies will utilize their own assets to enhance operational effectiveness and efficiency while aligning business processes in order to provide seamless customer care for all parties shipping out of China. Information is cumulative as at Q1 2017. Last updated May 2017.